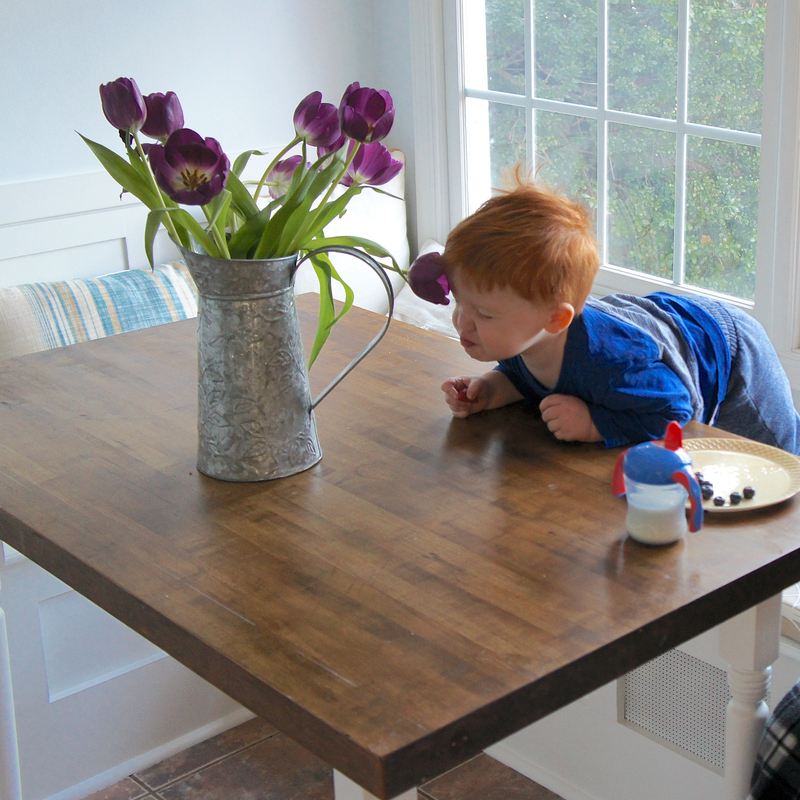 Our new breakfast bench has quickly become my favorite spot in the house. This week, Grant and I surprised Jason with the Sonos speakers he has been obsessing over for the past year, as a thank you for all of his hard work. He hasn’t had an opportunity to mount them yet, thanks to a proposal that had him in the office until midnight all of last week and this weekend. Poor guy. 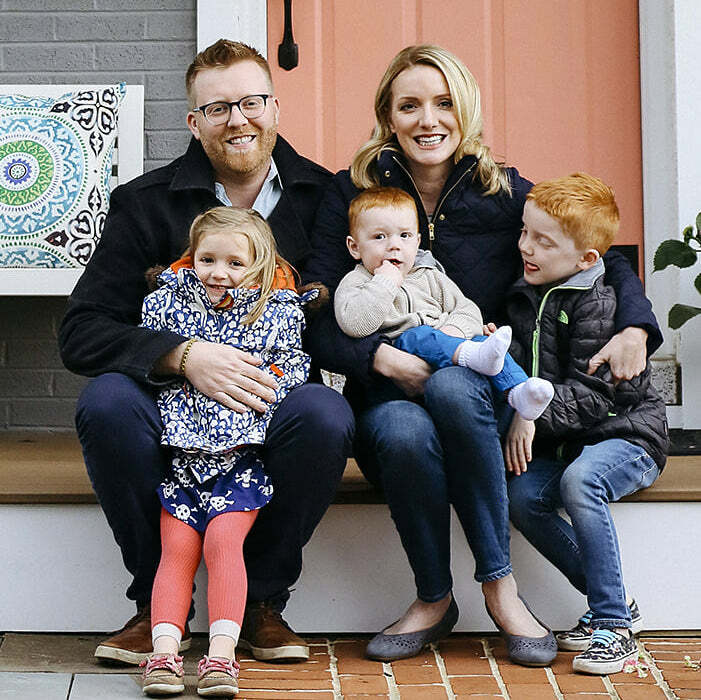 The speakers are on our kitchen counter for now, though, so Grant wakes up every morning and comes downstairs to eat breakfast on the bench and then dance around the kitchen for an hour. I can’t stop laughing at his terrible moves. After moving our pipe shelves into the dining room I still wanted some display shelving for the kitchen. Ikea’s Lack line is clean, modern, and (best of all) cheap. 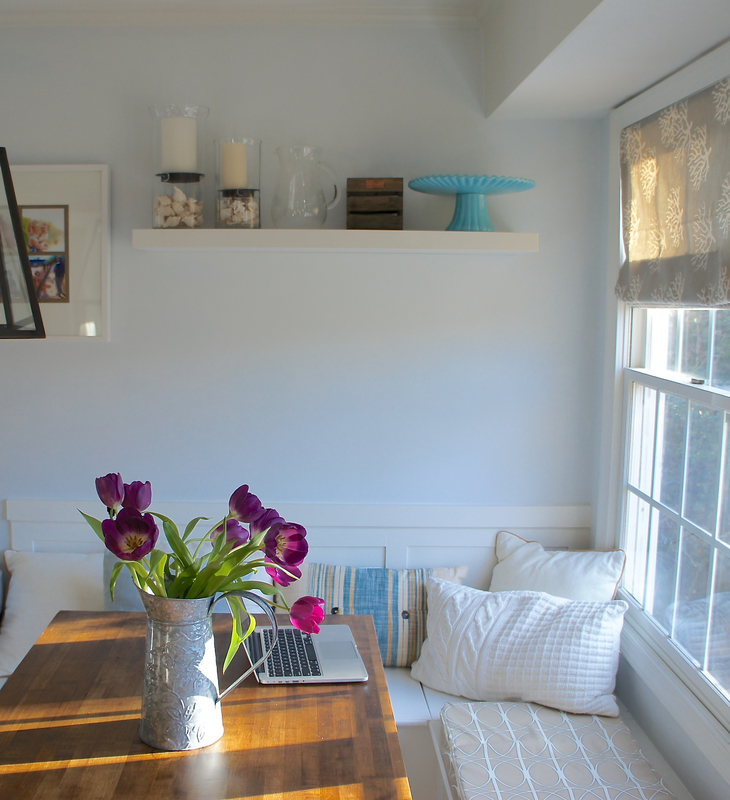 We chose a 43 1/4″, high-gloss white shelf ($16.99) to hang above the bench. It’s up pretty high to avoid head injuries. I try not to use anchors whenever possible, and rather drill right into a stud. The only tricky thing with that is finding said stud. There is no hard and fast rule on stud width, depending on the age of a house, the builder, even the size of a room, studs can be 16, 20, or 24″ apart. The ones in our kitchen are 20″, meaning there are holes beneath my shelf at the 16 and 24″ marks (don’t tell). 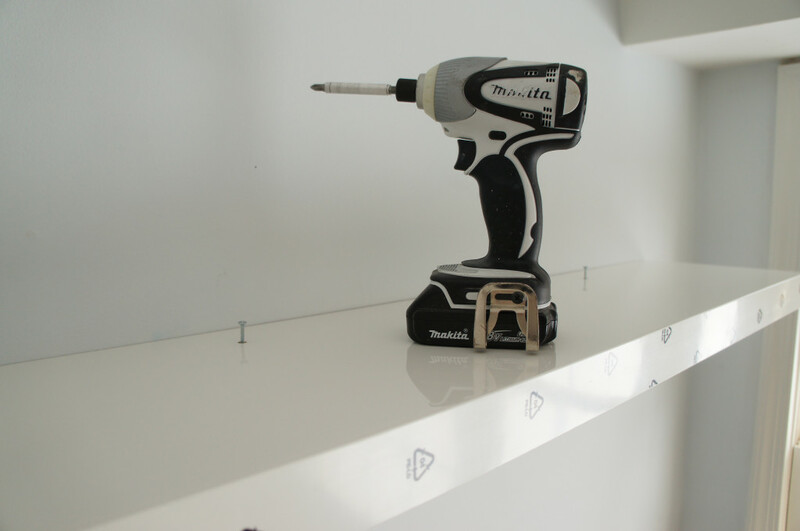 In order to “float”, the lack shelves come with a base that you drill into the wall and slide the shelf onto. 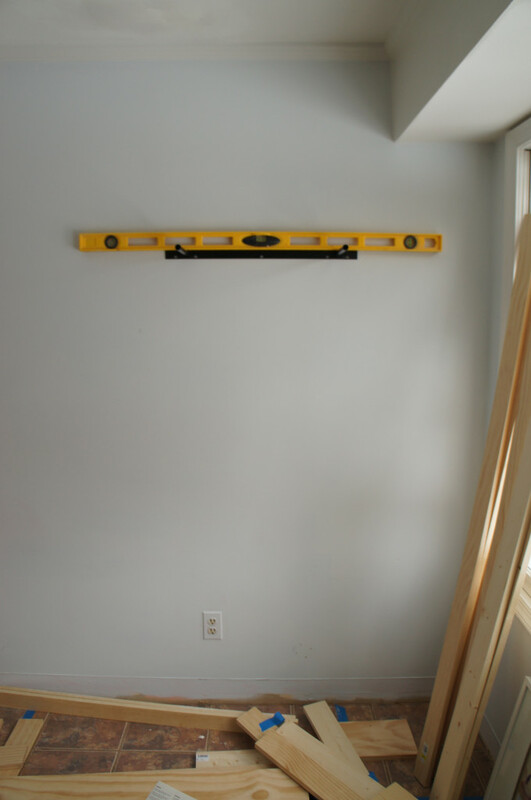 I used my level to get it perfectly straight and positioned the shelf so that the screws would be drilled into the studs I had marked. You would have to use anchors if you wanted to get the shelf centered over something, but I wasn’t too worried about that here. 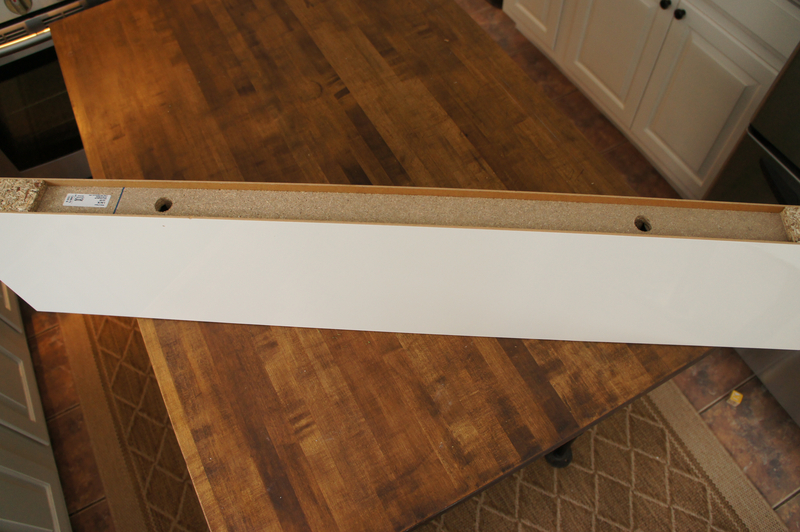 After the base was mounted on the wall, the shelf slid on through the two holes on the back. There are two small holes on top of the shelf for tiny screws to secure it in place. I checked it one more time to make sure it looked straight, then pulled the protective film from the edges and put it to work. It gives the wall a little decor and provides storage for objects that would have taken up a good bit of cabinet space.